Our students are back from their Netherlands field studies trip and also back to the full rhythm with the courses and design studio for this last part of the fall 2013 term. While we are curious to see how their Barcelona’s projects will develop to the finals, in the meantime here you can find some key images from the midterm reviews. We’ve heard that you’ve had wonderful time in Netherlands. We’ll leave you get some rest for the weekend and we hope to hear all your impressions and see the photos from the trip. For those who have already slept enough last night here is very interesting tip for today in Barcelona. 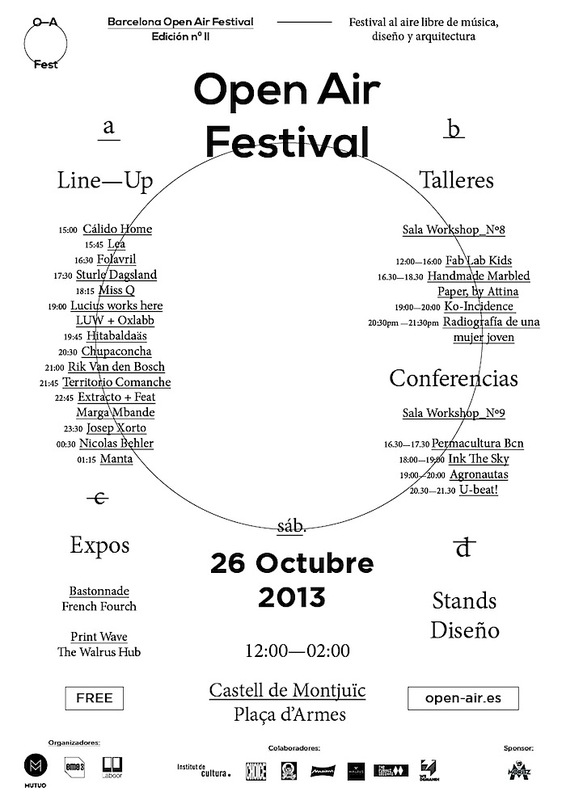 OpenAirFestival, today Saturday, October 26th, it’s a second edition of the Festival of music, design, art and architecture. Open Air Festival this time takes place at the Castle of Montjuic, from 12am. till 2a.m. full of music performances, workshops, conferences and exhibitons. Here is the link where you can find complete schedule and the list of performing artists. Metro Paral lel take Funicular de Montjuïc and walk 10 min or take Teleférico de Montjuïc . have a wonderful trip to Netherlands! 8 DAYS in 8 CITIES of NETHERLANDS! Have a safe flight tomorrow morning and wonderful field study trip! We’re looking forward seeing all your photos and hearing your impressions later..
We hope that you’re all working hard tonight and preparing your presentations for tomorrow. 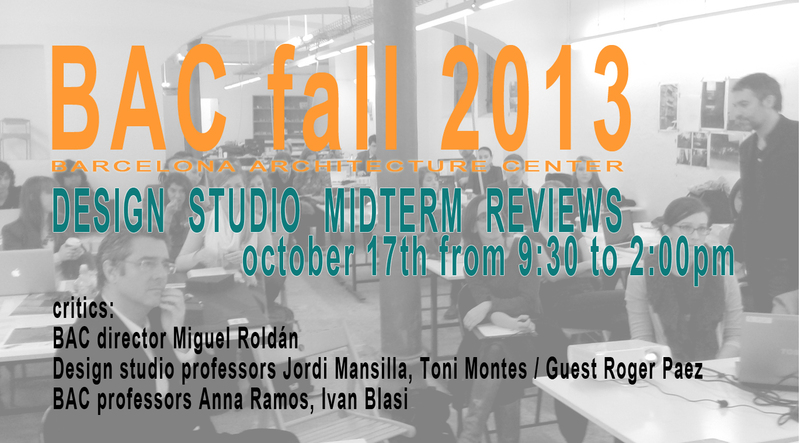 have a great work and good luck at Design Studio Midterm Reviews! 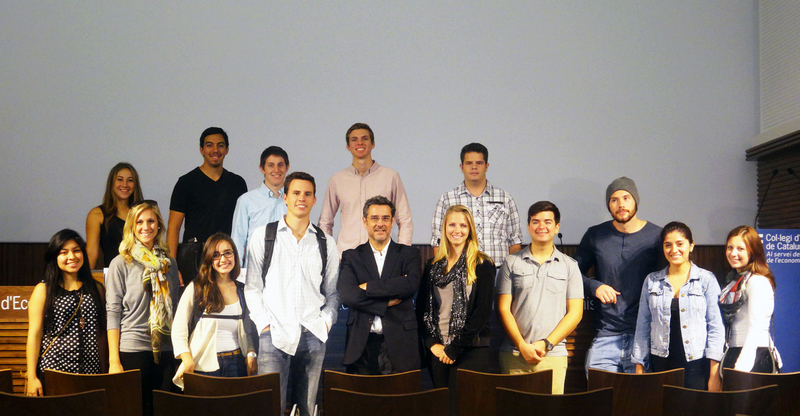 Our fall 2013 students have visited last week with Miguel Roldán recent opened New Catalan Economists Headquarters, by Roldán+Berengué,arqts. and participated at the photoshoot by the photographer Jordi Surroca and architect and photographer Jordi Darder. here are some photos from the visit.